A 6th Nerve Palsy can be quite common in exams, as they can be caused via extra-ocular muscle pathology, rather than any intrinsic lesion in the brain, therefore it is still vitally important. It runs up and anterior to the pons and pierces the dura overlying the basilar part of the occipital bone and runs in Dorello’s canal (piece of bone consisting of the inferior petrosal sinus and 6th nerve) prior to their entrance within the Cavernous Sinus. 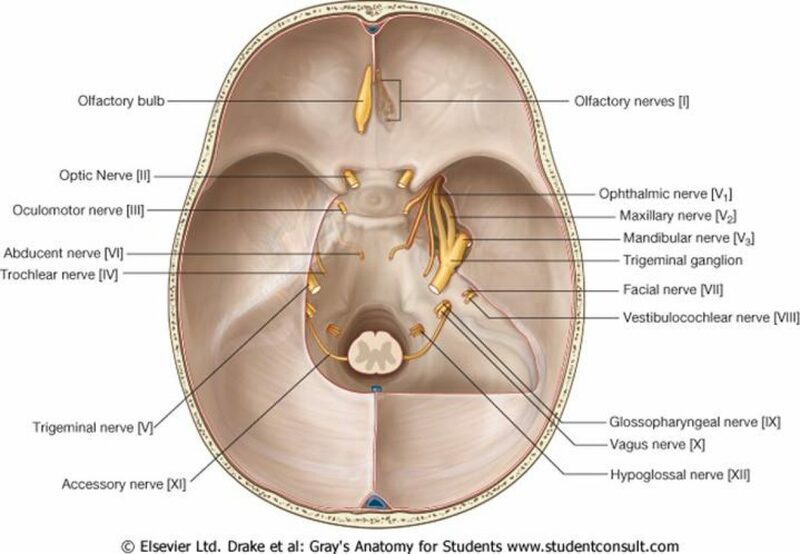 The 6th nerve has the longest intra-cranial course in comparison to all the cranial nerves. The 6th Nerve Supplies the lateral rectus muscle and therefore any lesion affecting the 6th nerve can cause diplopia on lateral gaze with the inability of the affected eye to abduct. Like with any exam question it is important to have a structure in your head whilst answering. My guide to answering any question like this is to use an anatomical sieve. This will be more evident in the facial nerve section. It is a very simple but effective approach scoring full marks in the exam!